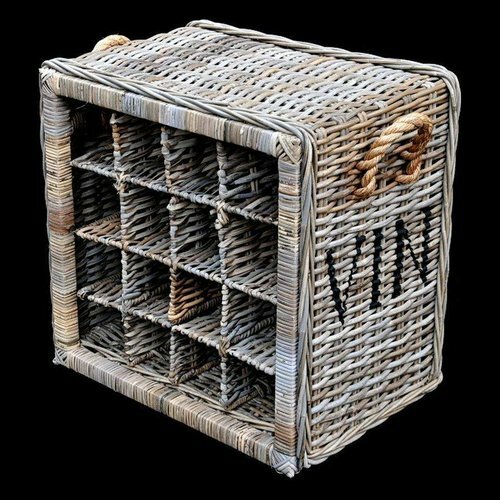 Woven rattan wine rack made of graying, with frames of wood, so very firm. Suitable for 16 bottles. With inscription and ship rope handles.